ROME – Tax incentives will soon be used in Italy to entice employers to take on more young workers, as currently nearly 2 out of every 5 people in the country aged between the 18 and 24 are without employment. 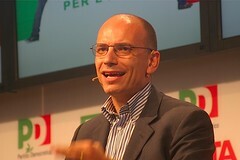 At a press conference held in Rome on June 27th the Prime Minister of Italy Enrico Letta announced that the government will soon offer a tax incentive of up to EUR 650 per month to employers who provide full-time permanent positions to individuals under the age of 30. The tax incentive is intended to tackle the country’s soaring youth-unemployment level, which are now estimated to have risen above 42 percent, while the country’s overall unemployment rate is at approximately 12 percent. The cost of the newly announced tax incentive is expected to reach as much as EUR 1.5 billion, but the move is forecast to lead to the creation of more than 200 000 new full time positions in the country. Alongside the tax measure, the government also plans to spend as much as EUR 1 billion to launch new work-skills training programs and schemes to help school-leavers transition into employment. The Prime Minister indicated that some of the funding for the tax incentives and training programs will come from the money provided to Italy by the EU, International Monetary Fund and the European Central Bank as part of the country’s bailout loan package.